I’m really excited about today’s blog, friends! It’s THIS type of blog that I wish I could have read 6 months ago when we became Vegan! It could have turned so many epic fails into legendary meals… BUT!! It didn’t. I think it was necessary for me to do all the trial and errors so that I could write this blog and all of you could get it right from the get-go. For that, I’m happy. OK so we’ve all had bad tofu right? It’s mushy and slimy and tastes like paste when it’s not made properly. After attempting to make it at home with poor outcomes I was determined to find out HOW the restaurants get it so perfect. WHY do their’s feel so firm and taste so meat like? Well, I figured it out! 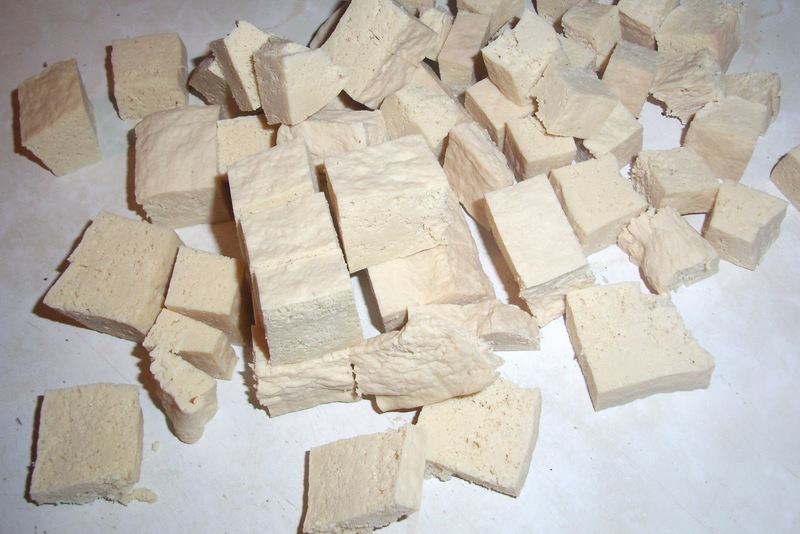 And here’s the tricks to perfect tofu. Now, I know this is going to seem like a lot of steps but trust me when I say, IT’S WORTH IT! Especially if you do a bunch at once. Then your set! I’m going to give you step by step instructions on what I do and a recipe for my perfect go-to marinade that makes every mouth in the Brown house water. First off, you need to get the right texture. 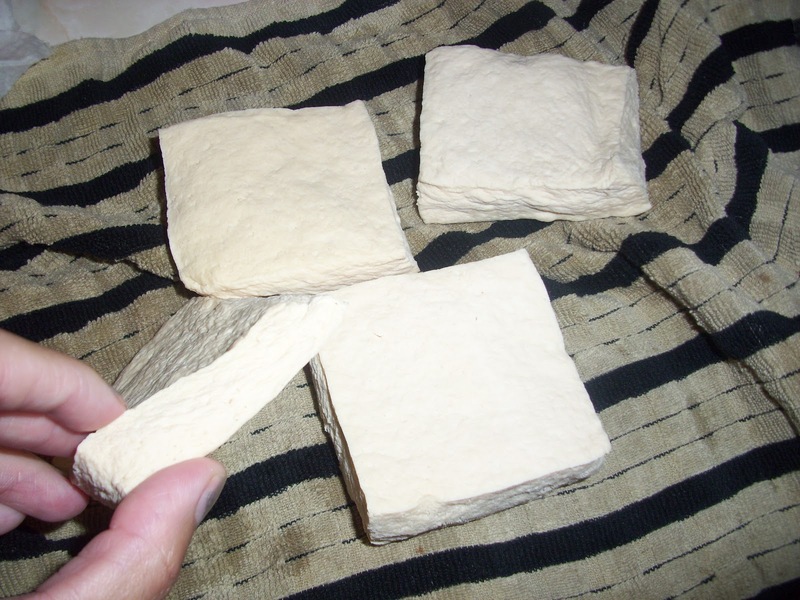 You’ve seen silken, medium, firm, extra firm, super firm, sprouted…for tofu that mocks chicken or turkey you want to get it as firm as possible. I love Trader Joe’s Organic High Protein Super Firm Tofu as well as Wildwood Firm SprouTofu but the only places I can get these are far away from where I live. 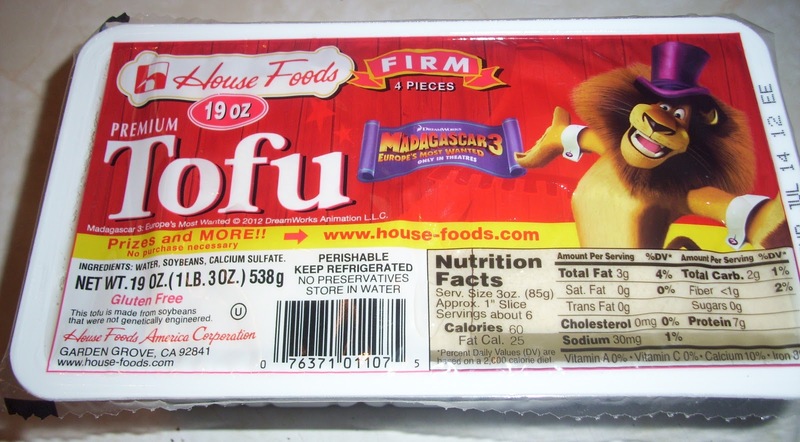 So lately I’ve been going to good ol’ Costco and getting a box (what looks like a case) of this tofu for a whopping $4!! Yeah, AWESOME!! When I bring it home, I throw it in the freezer. Just as is. Freezing it changes the texture and actually helps pull the water out of the tofu. 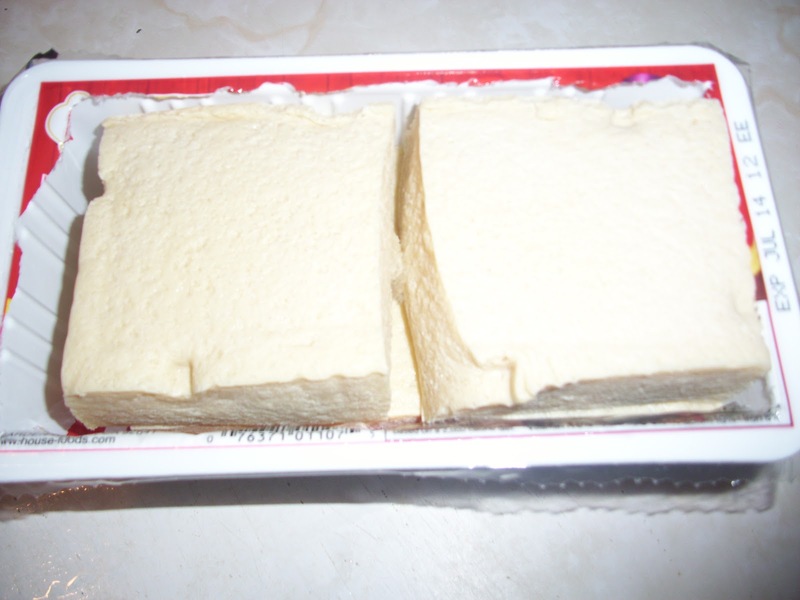 Then the next day I defrost it in the fridge or on the counter. When it’s defrosted I open it, drain it and squeeze the life out of it. Just not too hard to where you squish it to oblivion. It’s an easy but hard squeeze if that makes sense. The goal is to get as much water out as physically possible. 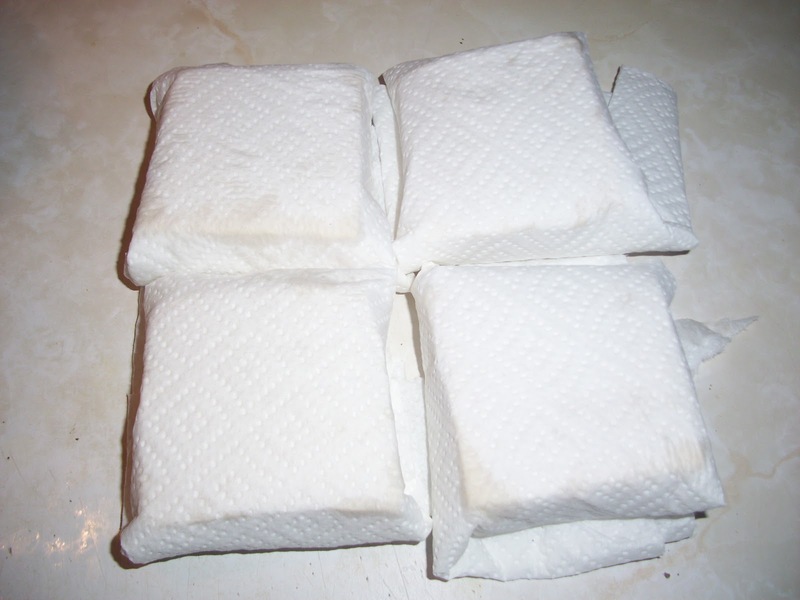 After you’ve squeezed, take paper towel and wrap each square with it. 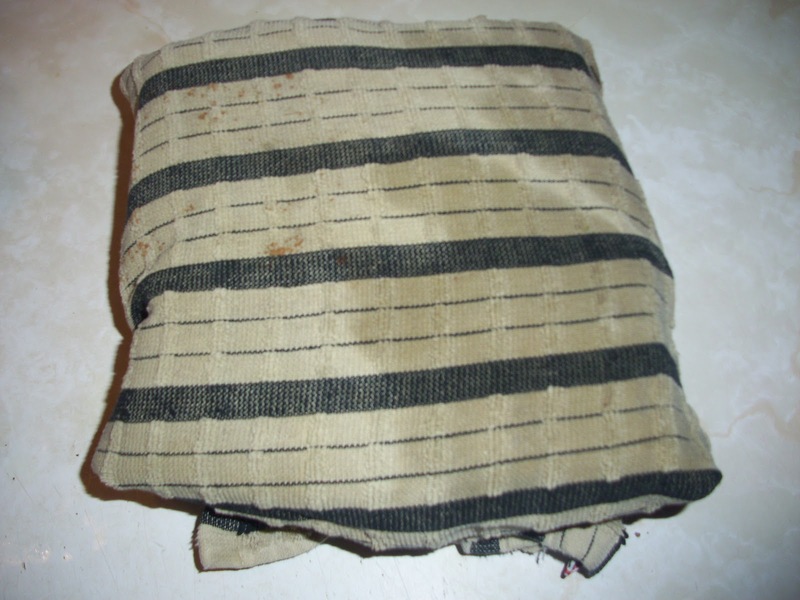 Then you’ll want to take a clean kitchen towel (I have a designated “tofu towel”) and wrap all the tofu together in that. Next, take a cast iron skillet (I use my Grandma’s that’s about 50 years old! Very nostalgic don’t you think?) and place it on top of the towel. Leave it to “press” for 45 minutes. It’s fine on the counter but if you have any reservations put it in the fridge. 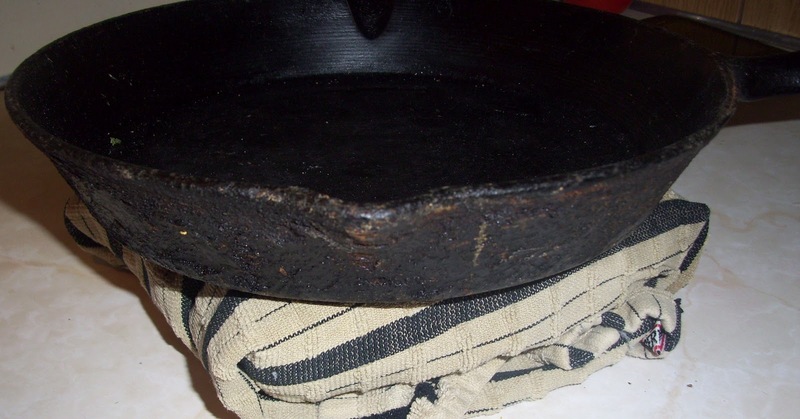 You can use another heavy object if you don’t have a cast iron skillet. Maybe a regular skillet with a brick in it? After it’s pressed for 45 minutes, put it in the fridge over night. In the morning, unwrap it. 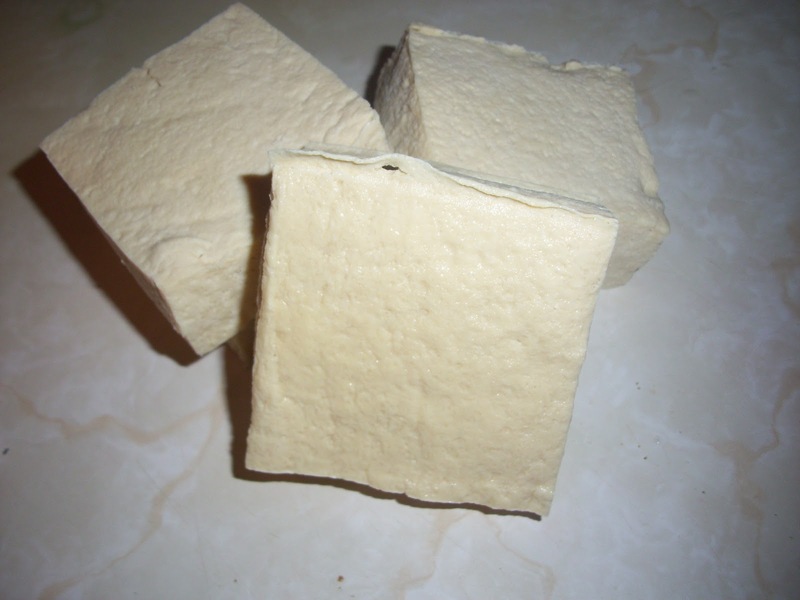 You should have super firm pieces of tofu! No wetness or nasty squishyness either! Now they are a perfect canvas for a delicious marinade. 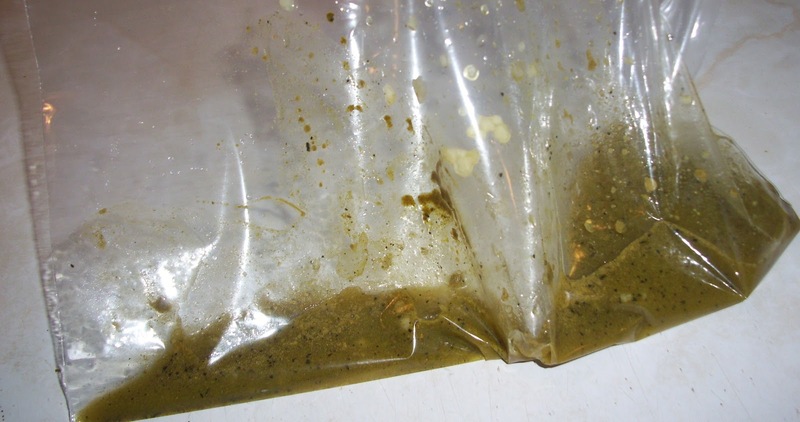 Don’t worry about the marinade making it wet and squishy again, it won’t! Cut the tofu in the shape of your choice. I chose cubes. The texture is so perfect! It’s a bit crumbly almost because of the freezing and water extraction. I mix this in a Ziploc bag and throw all the tofu in it. No muss, no fuss! 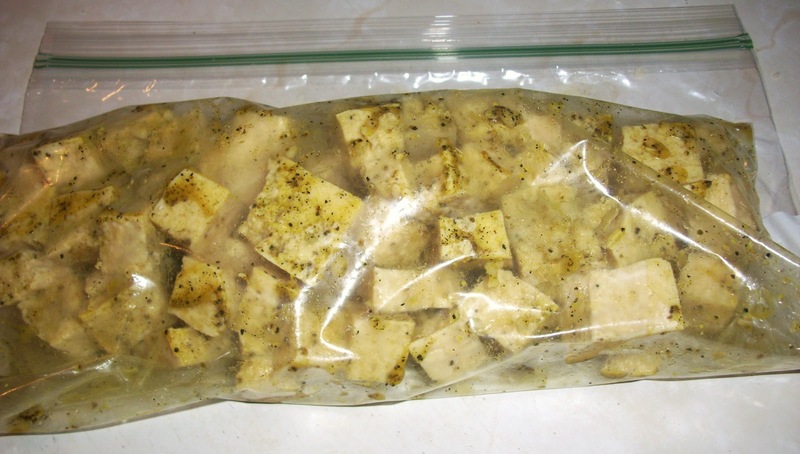 Mix it all up in a Ziploc bag and throw the tofu in. Making sure that you get the most air out of the bag as possible. This helps the tofu to absorb almost all the marinade! Massage the tofu in the marinade so that it gets evenly coated. Let the tofu marinade for at least an hour. I do this in the morning and then by dinner time it’s perfect. Next you’ll want to get a large skillet, spray with non-stick cooking spray and heat to medium high. 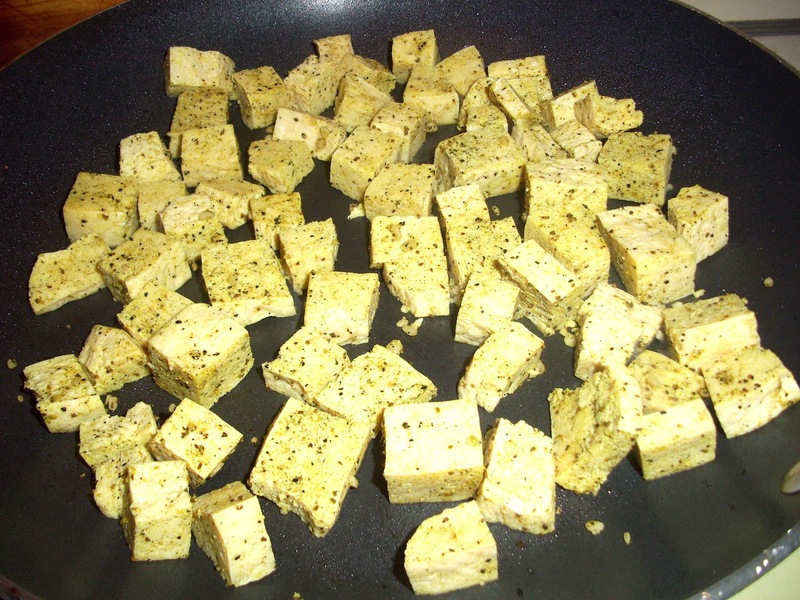 Once the pan is hot, add the tofu. You want to hear that sizzle just as you would with meat. This makes a nice crispy crust on the tofu. I love the yellow color and the smell of this dish! If you’ve ever made lemon pepper chicken, it’s the same thing! Let it cook on each side for 3-5 minutes (10 minutes total) or to desired brown-ness is reached. I take tongs and flip each one but I’m a very “type-A” personality. Flipping with a spatula works just fine. Then plate it up with sides. 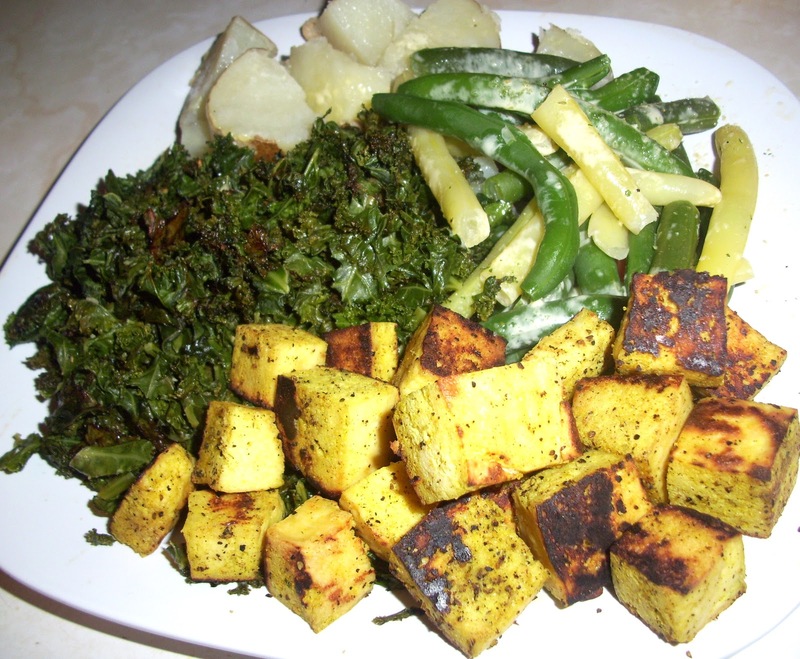 We had potatoes, green beans and roasted kale with our tofu. My boys eat the same thing that we do too. 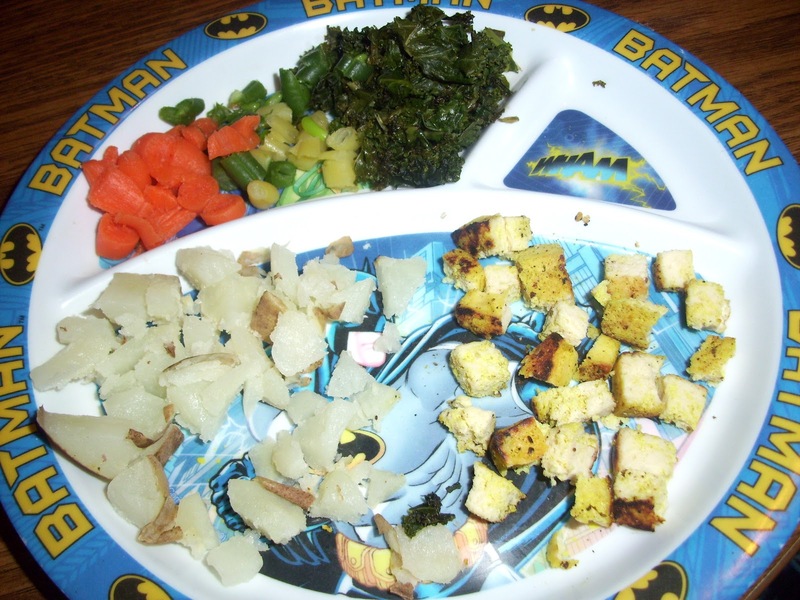 Here is my one year old’s plate. I thought the tiny pieces were so darling that I had to share! 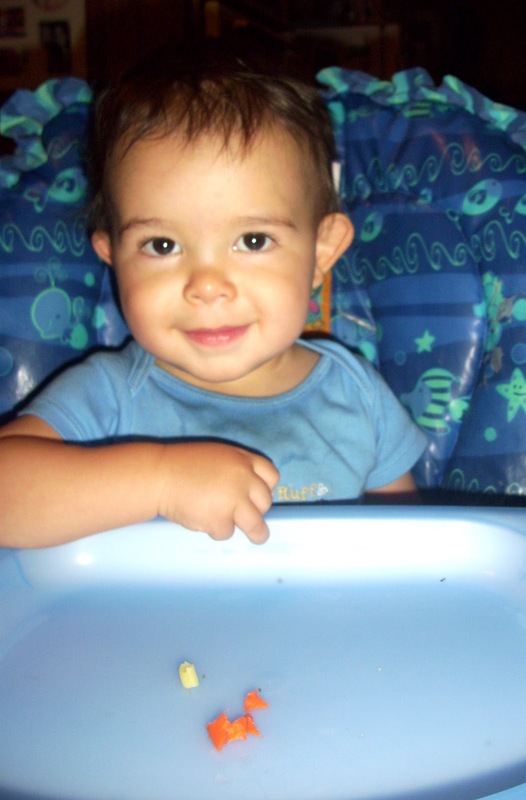 Speaking of darling… LOOK AT THAT FACE!! Isn’t he a doll boy??! And he knows what’s good too. He ate every single thing! So I really hope that you will give this method a try. I’m sure you’ve had bad luck in the past or have had a fear of it all together. I know I did! Now that I’ve got it down though, the possibilities are endless. I love to make Asian stir fry and marinade the tofu in garlic chili sauce, Bragg’s Liquid Aminos, fresh ginger and sesame oil. To. Die. For. I also take leftover tofu from today’s recipe and toss it with Veganaise, celery, and green onion then use it for sandwich filling. SO GOOD!! Give it a try and let me know how it goes! Previous Post Easy Mexi-Asian Wraps! Next Post Kid-Approved No-Cook PB and J Noodles! 😀 now are you feeding the kids only vegan too? I've heard so many different thing about that. And think as long as they get everything they need it's nobody's business. I personal when I have kids [(hopefully with Michael in a dream world…but who knows :)] want them to be vegetarian and then eventually make there own choice on vegan or omnivore. The kids are on a vegetarian diet only because of the cheese. They don't eat eggs or drink milk. Its just too hard finding affordable, healthy vegan snacks other then fruit and veggies (which they eat tons of!). We do goldfish, cheezits, ranch, Mac and cheese…I think that's all that keeps them from “vegan” status. Which fir a 3 and 1 year old, ain't bad! These boys eat so many beans and produce its amazing! They naturally do it too! No forcing! Makes me proud. We do the best we can. We can't really be 100% sure when we eat out etc ya know? People use butter on everything and eggs and milk seem to sneak their way into almost all desserts.